Lanzarote weather is the subject of countless questions on our social media pages and via email. Without a doubt, the single most important thing for our readers is to know what the weather will be like for their holiday. Lanzarote, and the other Canary Islands are described as having the “World’s best climate.” And it’s probably true! We don’t suffer from any extremes of weather here – our winters are like the warmest British or Irish summer days, and during the summer we almost never suffer from the stifling heat you can find in the Mediterranean. 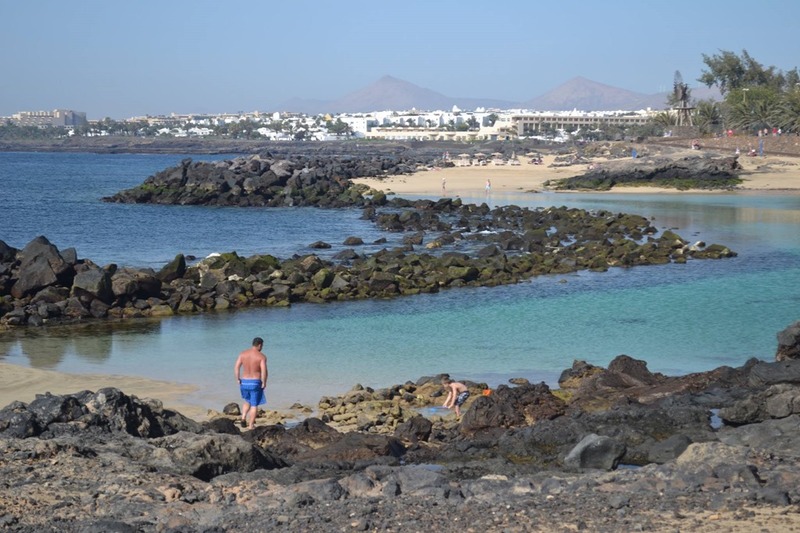 We’ve put together this little summary of some of the key points about Lanzarote weather, based on records dating back to 1981, and in each case we’ve used a well known place in northern Europe as a comparison. Which months are the warmest and coolest? August is the warmest month, with a mean temperature of 25.2 degrees, and January is the coolest with 17.4 degrees. The record high recorded on the island is 43.6 degrees, and the record low is 8.0 degrees. To contrast that with Dublin, the warmest month is July, with a mean temperature of 16.9 degrees, so Lanzarote is warmer in our coldest month than Dublin in it’s warmest. How much sunshine do we get? We get a little under 3,000 hours of sunshine per year, with July being the sunniest with 308 hours, and December the least, with 196 hours. Edinburgh has less than half the total hours, with 1426 hours, and the sunniest month of May still has fewer hours of sunshine than Lanzarote in the deepest winter month. Cardiff gets more than ten times the rainfall, and in each of the months of October, November, December and January, more rain falls on average in the month than it does in the whole year in Lanzarote. But is it always windy? We’re in the trade wind zone, so we do tend to have wind here, which is one reason it doesn’t often get too hot. The average wind speed is highest in July at 18 knots and the lowest in January, September, October and November at 11 knots. London is less windy with 9 knots being the average for most of the year, and even in the peak months, 10 knots. Again, we don’t suffer from extremes. In mid summer the average is 22 degrees at the surface, and in mid winter it drops to 18 degrees. In Bournemouth the warmest month is September, when the sea is at 17 degrees and in March the average temperature is a chilly 8 degrees. Again, that means that even at the coldest time of year, the sea here is warmer than Bournemouth in mid summer. What about storms and hurricanes? We rarely get them, as most pass north of us with the airstream. About once every 3 years, we seem to catch the tail end of a tropical storm, which causes high winds and heavy rain. The last was last November, and the biggest we can remember was called Delta, and that hit us in 2005. Cornwall by contrast suffers from an average 24 storms per year. It’s caused by an unusual set of circumstances where hot, dusty air over The Sahara (which is only 70 miles from Lanzarote) is lifted into the atmosphere and driven over The Canaries. It gets very hot and everything is covered with dust – we also sometimes get unusual insects, this year we have seen ladybirds, and in the past we have seen locusts. They last for 2 to 3 days and we get them up to 6 times per year. Why is Lanzarote weather so good? The Canary Islands are known to have one of the best climates in the world – rarely too hot or too cold, with sunshine generally and a distinct lack of rain. We’re in the latitude between the Med and the really hot tropics, which keeps summers bearable and winters warm. We share our latitude with Florida and Egypt. We’re smack in the trade wind zone, which means we generally have a breeze blowing from the north. It means that despite our proximity to The Sahara, we don’t often see temperatures in the 40’s here, apart from the odd few days when the trades do die off. Cloud heading towards us from the north tends to be diverted around the island by the cliffs at Famara, and the cloud that isn’t diverted is usually burned off by the heat of the island as soon as it reaches land. If you look at satellite images, or even look far out to sea, you’ll see cloud all around, but none over Lanzarote. The Sahara is the world’s largest hot desert, and it’s just 70 Nautical miles from Lanzarote. The huge, barren area produces a warm layer of air over the land mass of Africa that stops storms and “weather” in its tracks. That’s why we don’t suffer from Tropical Storms here regularly. The waters of The Atlantic flow towards Lanzarote from the north of Europe, and are known as a “cold current.” That’s why the ocean temperatures here are a steady 20 to 24 degrees for most of the year, and this surrounding cool water helps keep air temperatures at a sensible level. So there you have it – that’s why Lanzarote weather is the best, and why The Romans named us “The Fortunate Islands! We have a Lanzarote Weather article for every month of the year, which will give you a good indication of the weather in that month. 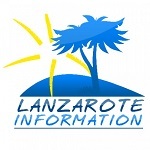 Just visit our weather section here and scroll through for you month: Lanzarote weather. Or you can use the search box and type in “March weather” for example. This apartment at Playa Bastian is a one bed with sea views, in tone of the best communities for holidays in Costa Teguise.